Who Is Funding Scientific Studies. NIH Funded By Alcohol Industry ! More than $30 billion of taxpayer money goes into biomedical research each year. But billions of funding also comes from industries who stand to gain financially from biased results. That could mean that what you believe to be true may not be so good for your health, after all. Here’s what you need to know about scholarly studies and the people who back them. What is the NIH and where does it get funding? Americans and people throughout the world depend on the National Institute of Health (NIH) to provide authentic and unbiased studies. The NIH is a federal agency part of the U.S. Department of Health and Human Services. It’s the nation’s medical research agency devoted to improving health and saving lives. Under the umbrella of the NIH comes 27 different components called institutes and centers. 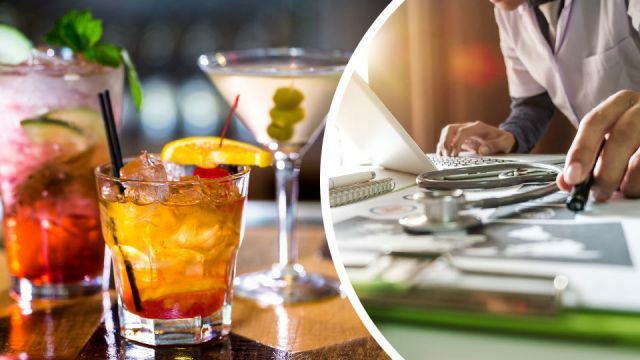 These include The National Cancer Institute (NCI), the National Institute of Mental Health (NIMH), National Heart, Lung and Blood Institute (NHLBI) and the National Institute on Alcohol Abuse and Alcoholism (NIAAA) among others. Each has its own specific research agenda, focusing on particular diseases or body systems. In fact, all of the 27 components, except for three, receive funding directly from Congress investing over $30 billion of taxpayer money in biomedical research each year. Most of the funding goes to scientists outside the NIH, which manages the grants and provides direction. In 2014 the NIAAA (National Institute on Alcohol Abuse and Alcoholism) pitched a study during a presentation at a luxury beachfront resort in Palm Springs, Fla., according to the New York Times. The audience members, asked to fund the $100 million study, seemed receptive. That’s because they were all liquor company execs. Although the ten-year trial was funded mainly through donations by Anheuser Busch InBev, Heineken and other alcohol companies, lead investigator and NIH officials denied discussing the planning of the study with the alcohol industry. However, emails and travel vouchers obtained by the New York Times, under the Freedom of Information Act, as well as from interviews with former federal officials, paints a different picture. Is moderate drinking really good for your lifestyle? They went further on to suggest that moderate alcohol may be linked to reduced risk of cardiovascular disease. Not surprisingly, shortly after the New York Times story broke, the NIH opted to examine the possibility of health officials violating federal policy when soliciting donations after meeting with alcohol companies. Needless to say, if industries who stand to gain financially are courted by the NIH for funding, it throws into question whether the results are actually unbiased and in your best interest. “Big tobacco” is a prime example of how “funding bias” influenced scientific studies to support the interests of the study’s financial sponsor. After combing through nearly 50 million pages of previously secret, internal tobacco-industry documents, researchers from UC Davis and UC San Francisco documented how “big tobacco” funded and used scientific studies to undermine evidence. Thus, linking secondhand smoke to cardiovascular disease. The consequence: Millions of Americans and people around the world died and continue to die from inhaling secondhand smoke. Research published in the journal Circulation reports that tobacco-related documents prove how the industry also worked to question scientific evidence about the harmful effects of secondhand smoke as a way to fight smoke-free regulations. Additionally, it’s reported that tobacco company-funded studies have supported the development of so-called “reduced-harm” cigarettes. The pharmaceutical industry is the largest contributor towards funding research. In fact, it funds over 60 percent of research. We’re talking billions and billions of dollars. So, it’s no surprise then, that the secret to keeping “Big Pharma’s” cash flowing is to cherry pick research for the most favorable results. Each year, the NIH budget provides less money to fund clinical trials, according to Drugwatch. Because of this, “Big Pharma” funds and runs the majority of these trials. The pharmaceutical industry then provides data to the FDA for drug approvals and safety reviews after the drug hits the market. However, consumer watchdogs suggest that Big Pharma’s influences clinical trials — allowing drug companies to focus on the benefits of a drug while downplaying the risks for the sake of profit. This biased information, in turn, could influence doctors to prescribe a drug without understanding the risks. Reading a scholarly article with a critical eye is not easy. But with so many studies published daily, you really need to focus on reading the most relevant articles. While it may be tempting to just read the abstract, or brief summary of a research in the article, it’s always important to look beyond. Is it an older study or up to date? Most importantly, and for the sake of reading unbiased research, move to the end of the study and check out the funding source — and any potential conflicts of interest. For instance, was this research funded by the sugar industry, alcohol industry, etc.? Knowing this information in advance will keep you more open to any biases throughout the study. In the end, scholarly research is paramount for improving health and saving lives. But if research is tainted by those who are funding it, then, obviously the scientific paper may be more harmful than helpful for the average American. Unfortunately, with so many industries now funding research, and who stand to gain financially, it’s hard to know what to believe. Therefore, it’s only through transparency that we can know for sure that “funding bias” has not influenced science. Hey Buddy!, I found this information for you: "Who’s Really Funding Scientific Studies? NIH Study Funded By Alcohol Industry". Here is the website link: https://www.thealternativedaily.com/who-is-really-funding-scientific-studies-for-the-nih/. Thank you.